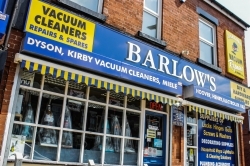 Here at Barlow's we believe our Vacuum Cleaner service is second to none and pride ourselves on the quality, efficiency and cost effectiveness of our work. We also stock hundreds of spares including over 400 different types of vacuum cleaner bags along with an extensive range of vacuum cleaner components such as belts, filters and accessories. We call the customer if additional parts are needed. 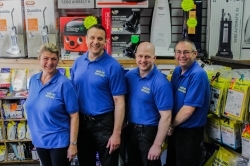 Barlow's have four fully trained staff including three Engineers, John Barlow (Owner), Jon Ashton (General Manager & Vacuum Cleaner specialist), David Gallagher (Pressure Washer & Carpet Cleaner Specialist) as well as Michelle Hallworth (Chief Tea Maker and shop counter assistant). John Barlow has been offering Service & Repairs to Vacuum Cleaners and other types of cleaning equipment in the Greater Manchester are for over 30 years and he has numerous qualifications in Electronics& Electrical Engineering including HNC Electrical & Electronic Engineering, City & Guilds P1 Electronics, City & Guilds Inspection & Testing. David Gallagher is a fully qualified City & Guilds time served Engineer with over 30 years mechanical experience. 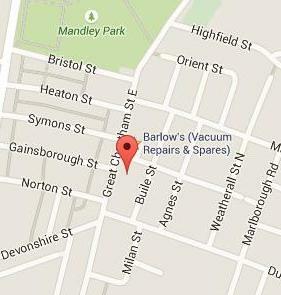 Therefore customers can be assured they are in experienced hands and getting the very best service when dealing with J Barlow Servicing Ltd.
For any further assistance simply call Barlow's 0161 792 4118 and we will be happy to help. BBarlow′s realises the importance of keeping things moving in business, therefore Commercial customers such as Contract Cleaners, Nursing homes, Hotels, Restaurants etc. are given a fast track service if required. We are happy to offer free P.A.T testing to all equipment that we service saving customers time and money. Simply call 0161 792 4118 and we will be happy to help.